Alexander Pavlovsky, founder and first violinist of the internationally acclaimed Jerusalem Quartet, has established a reputation as a highly accomplished chamber musician, soloist and teacher. He has collaborated with many famous musicians such as Sir András Schiff, Mitsuko Uchida, Menahem Pressler, Gary Hoffman, Paul Meyer, Sharon Kam, Veronika Hagen and Nobuko Imai. He has performed as a soloist with many orchestras, including the Jerusalem Symphony Orchestra, the Kiev Chamber Orchestra and the Israel Camerata. Alexander Pavlovsky regularly gives masterclasses at universities and music academies in Europe and America, such as the Royal Academy of Music in London, the National Academy of Music in Melbourne, the Sydney Conservatorium, the Cleveland Institute of Music, Rice University and Codarts in Rotterdam. In 2007 he was a jury member at the Melbourne International Chamber Music Competition. Since 2008 he has been a faculty member of the Jerusalem Academy of Music and Dance. 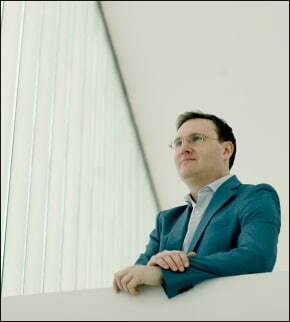 This is his eleventh year as the Artistic Director of the Zeist Music Days festival.